Are You Coping with Postpartum Depression? For most women, becoming a mother is an exciting time. However, many new mothers are overwhelmed when they are unexpectedly hit with postpartum depression. What they had envisioned as being a joyous time becomes instead a time of confusion and despair. And because so many women are unaware of postpartum disorders, they suffer alone—in shame and silence. They think they are bad mothers. If you are dealing with a postpartum psychiatric disorder, you are not alone. 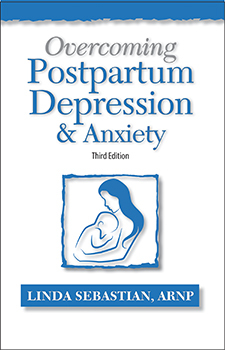 In fact, in the United States, postpartum psychiatric disorders are the most common complication of pregnancy; however, these disorders can be treated. You can overcome them.